You are here: Home / Eye-pleasing colours- SEK81 electric kettle by PRIME3! Warsaw, 14th of May, 2018 – 2N-Everpol Sp. 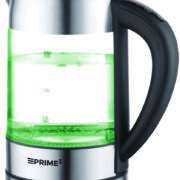 z o.o., the exclusive distributor of PRIME3 expands its product portfolio and introduces SEK81- an electric kettle with temperature control . 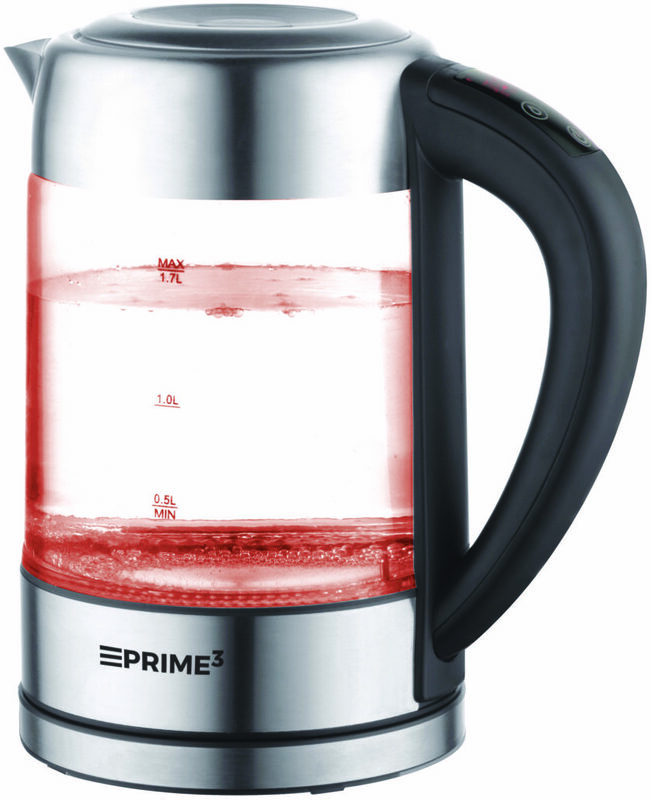 SEK81 by PRIME3 with 2200-Watts power and 1,5l capacity (min 0,5l) will meet the expectations of most demanding users who care not only about the aspects of functionality but also value the design. 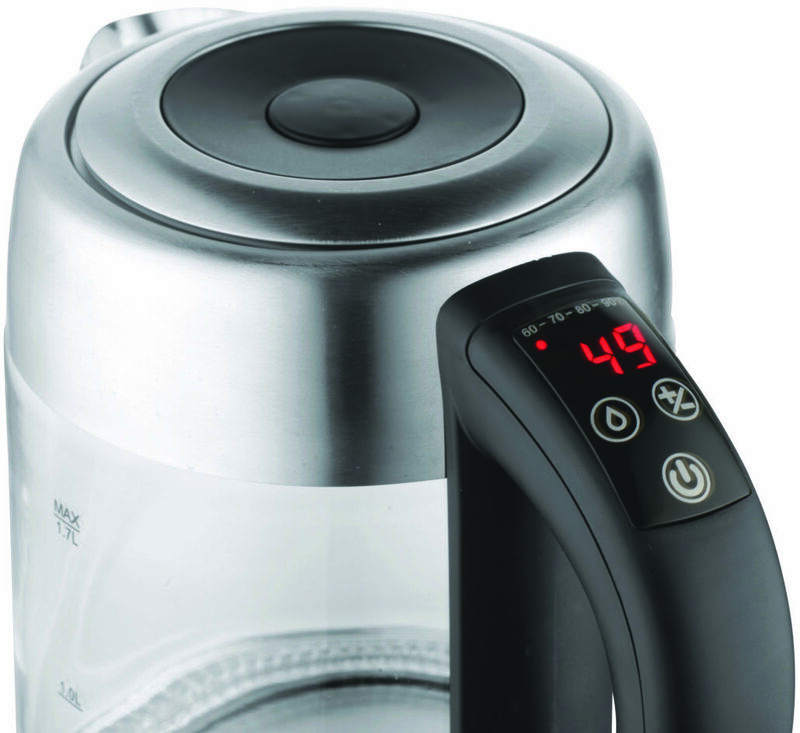 Owing to ergonomic handle, rotary base and heating element hidden in a flat stainless steel bottom, the device is tremendously convenient in everyday use. The forgetful will never have to worry again- the kettle has an automatic shut-off mechanism and it will switch itself off after the water is fully boiling. 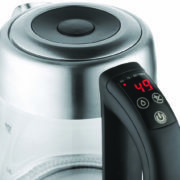 In addition, a boil dry protection feature guarantees more safety. In addition, the kettle equipped in LED display with temperature indicator and control which allows the user to choose and maintain the temperature of water in the range from 60 ° C to 100 ° C. Herbal infusion and green tea lovers will certainly appreciate this feature. The SEK81 has an anti-drip spout, thanks to which the water will neither drip nor spill, another interesting features concern a water level indicator which helps to control the amount of water and separable base with a storage for excess cable. 5 colour LED lights (yellow, red, violet, blue and green) visible immediately after switching on the kettle, illuminate the boiling water, which looks staggeringly impressive, especially in a dark room. Elegant and classic glass and steel body will surely appeal to all those who care about modern interior design.